Kandahar is the capital of Afghanistan in terms of the disappearance and summary executions of all sorts of people including tribal elders, professionals, farmers, laborers and students. Numerous times the people of Kandahar have protested the disappearance of their family members and loved ones at the hands of security officials. As many times they have been reassured by government officials that their loved ones will be released soon. But more often than not, instead of welcoming their disappeared relatives, these people are left to find the bodies of the disappeared in a morgue or the banks of a river and in the foothills of the city outskirts. The Human Rights Commission stated in its latest report that in the last six months, in Kandahar, 146 people have been killed in secret circumstances and 48 have been injured. Recently the relatives of inmates in Kandahar’s main prison have complained that their imprisoned relatives have been taken away from the prison premises and until now their fate remains uncertain. Prison officials have confirmed the disappearance of these inmates and have stated that some of them were snatched off by General Razziq’s men. Some relatives confirm that after paying handsome bribes to some officials they have been told that the inmates were taken by Raziq’s men. The officials of Kandahar’s Mirwais Hospital have also confirmed that they frequently receive the dead bodies of individuals whose killers, time of death, place of death and the circumstances surrounding their death are unspecified. Extrajudicial killings in Kandahar is not a new phenomenon. This phenomenon of forced disappearances and summary executions has been ongoing for many years now. Hundreds of individuals from various groups and tribes have vanished and imprisoned without trial. However, ever since the reign of Raziq as provincial police chief, such disappearances, abuses and tortures have increased manifold. 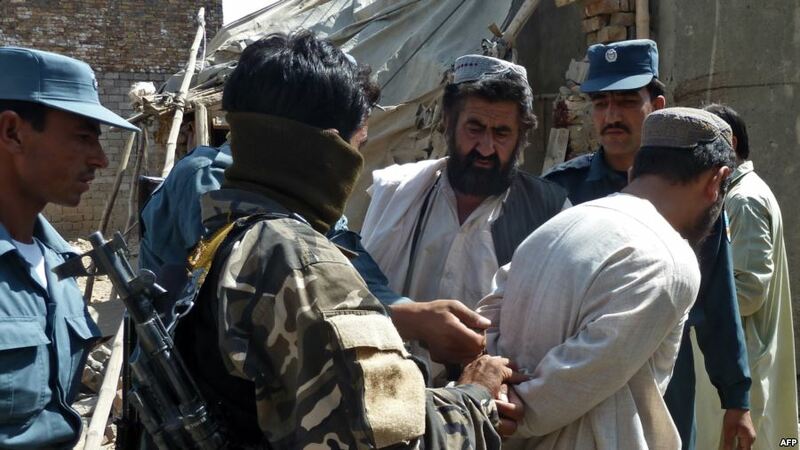 Last year, in the space of a week, around 60 individuals were summarily executed in Kandahar and the surrounding areas. The deceased had no relations with the Mujahideen but were brutally killed arising from suspicion and inter-tribal hatred. In addition from time to time people have found dozens of dead bodies dumped on the banks of Tarnak River and in the desert that betray signs of torture. In all probability these individuals have been severely tortured and then buried in mass graves or thrown into the River or the desert. It is the morale and human duty of human rights organizations, social activists, journalists, writers and other not to remain silent in the face of the current atrocities perpetrated in Kandahar. They should use their pens and influence to give exposure to the current chain of disappearances, to condemn such brutality and call for the trial of their culprits.